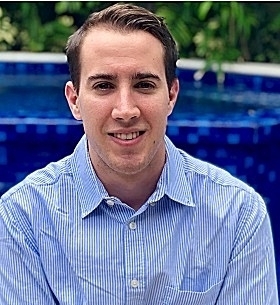 Josh is a Research Associate at the Columbia Pacific Wealth Management office in Austin. Previously, he held the same position at Mission Hill Advisors, which was acquired by Columbia Pacific Wealth Management in 2019. Before that, during Josh’s senior year in college, he worked alongside The Bill Munday School of Business Finance faculty as a Research Assistant. Josh graduated with a bachelor of business administration in finance from St. Edward’s University in Austin. During his sophomore year, he was the President of the St. Edward’s swim team. Whenever he gets the chance to be in the water, he enjoys scuba diving.